Welcome to the Junior area of the Grosvenor Website. We hope you find all the information you need to know all about what we offer our younger members but please get in touch if you’d like to know more. 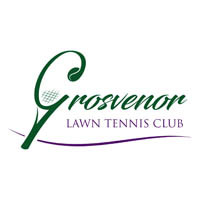 Grosvenor Tennis Club run a comprehensive junior programme for children aged 3 to 18. Presently there around 160 juniors enjoying weekly tennis sessions. We have a team of LTA qualified coaches with many years of experience who are able to coach players at beginner level to national level. For children aged 9 and under we offer a comprehensive coaching programme with our team of LTA highly qualified and experienced coaches. Sessions are held on most days of the week and are great fun as well as an excellent introduction to tennis. They cost in the region of £4 per session and are organised on a termly basis. We also run regular tournaments for children of this age and enter team competitions.